Eclectic Austin was quite the surprise after a week in hectic Houston. I was told these wise words on our first day in Austin, “if something looks out of place and strange, it’s suppose to be that way”. It turned out to be true. It’s a city where the way of life is as laid back as Ubud, Bali and teaming with more hipster beards than Portland, Oregon. From the moment we drove into this town I could tell I was going to love it. It had a special buzz in the air that was immediately calming and rousing at the same time, and it felt like home. Wi-Fi speed was solid. The kitchenette was handy, although there was no sink, which seemed like a slight design flaw. 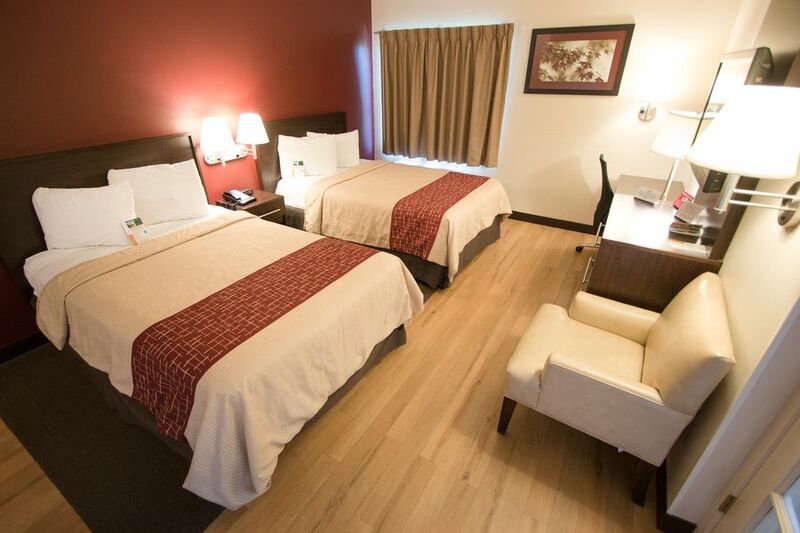 However, the central location was great and the staff were always helpful and friendly. 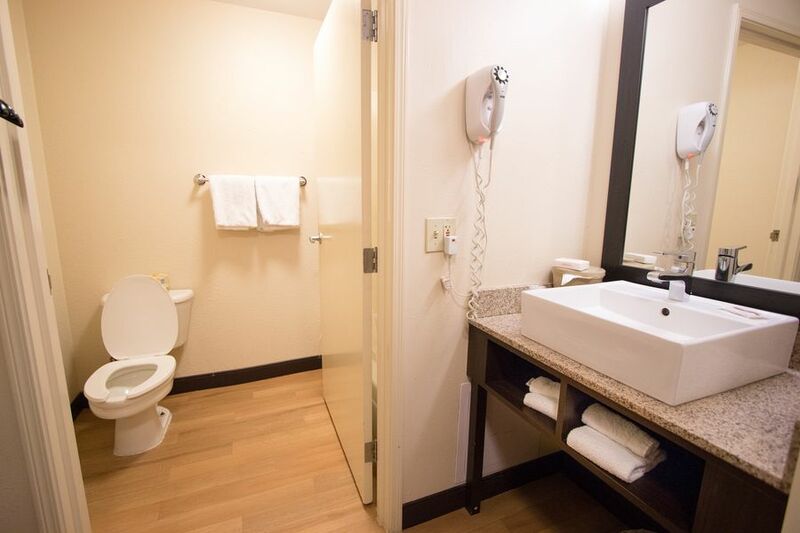 During our stay the toilet handle kept sticking and on our final day, it refused to flush, filled up and flooded the bathroom. The staff were on the ball, organising maintenance and responding quickly. 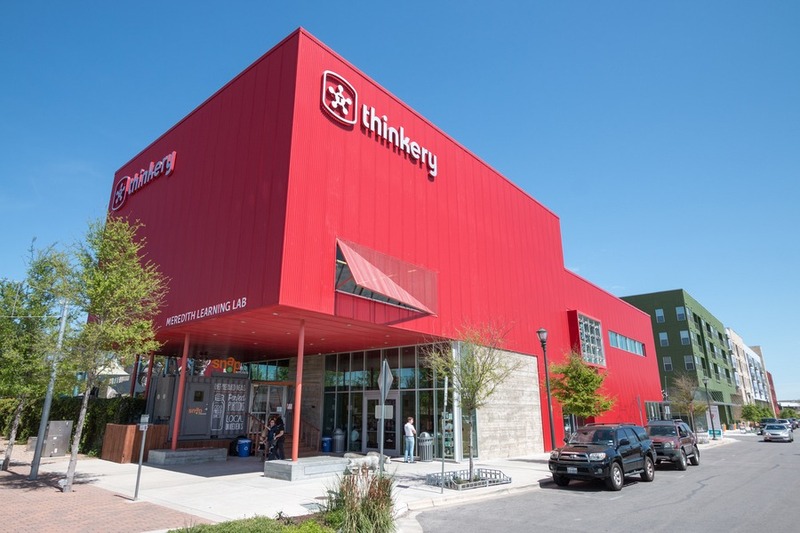 This is by far one of the most awesome and unique things we did in Austin… and it’s completely free! 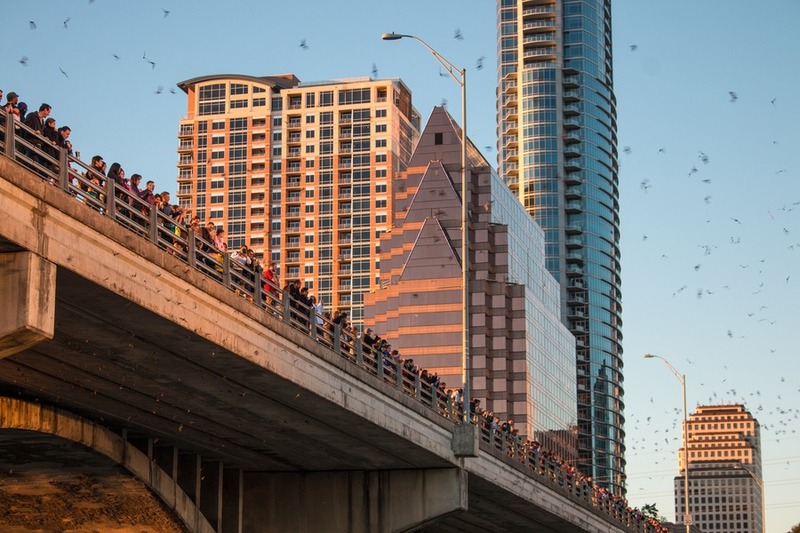 Every night, hundreds of people gather to see the world's largest urban bat colony emerge from beneath the Congress Avenue Bridge in downtown. We arrived early and positioned ourselves on the southern shore of the Colorado River, immediately east of the bridge. Our hotel recommended the best vantage spot to be on the middle of the bridge, however we found our spot to be the best for photography. As the dusky sun started to make it’s plunge into darkness a handful of black ink spots started to dot the sky. Was it a bird? A plane? Superman? The dots steadily grew in number and density as they dropped from under the bridge like water flowing from a tap, before flying out over the city’s skyscrapers. 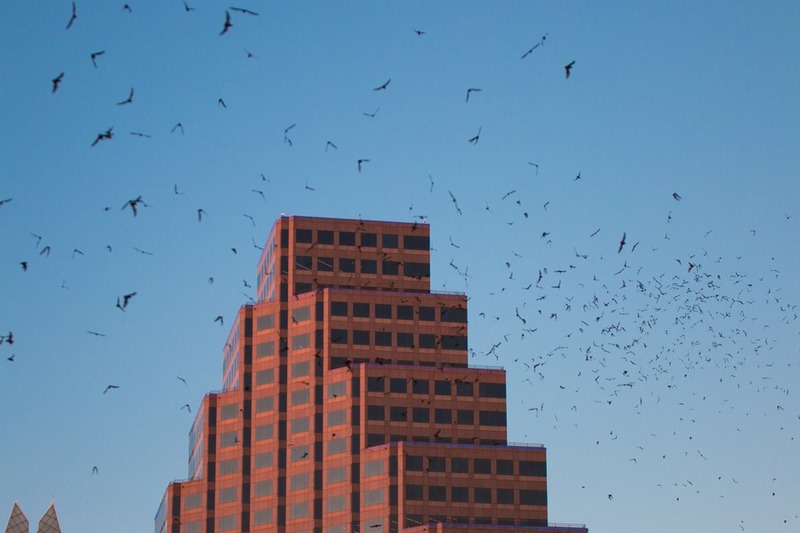 Around 1.5 million Mexican free-tailed bats emerged from their day beds to feast on insects in the night. Only one word for this. Wow. 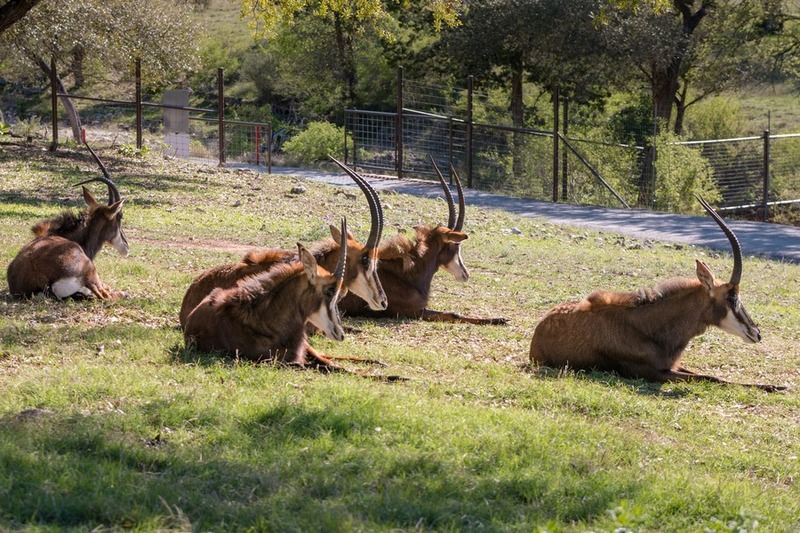 A visit to Austin wouldn’t be complete without discovering its zoo about 15 miles east of the city center. 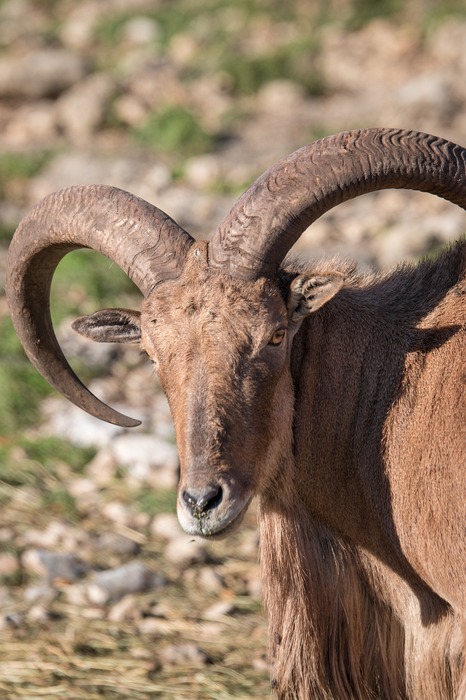 But you are not going to find the world’s biggest zoo (there’s only about 300 animals) or even common “big ticket” animals found in other zoos. In fact, I wouldn’t even call this place a zoo. It’s a rescue sanctuary for the most beautiful creatures you’ll ever come across. We were offered a personal tour of the grounds with Toni, one of the passionate team members. And we learned about the heart-breaking story behind every animal. 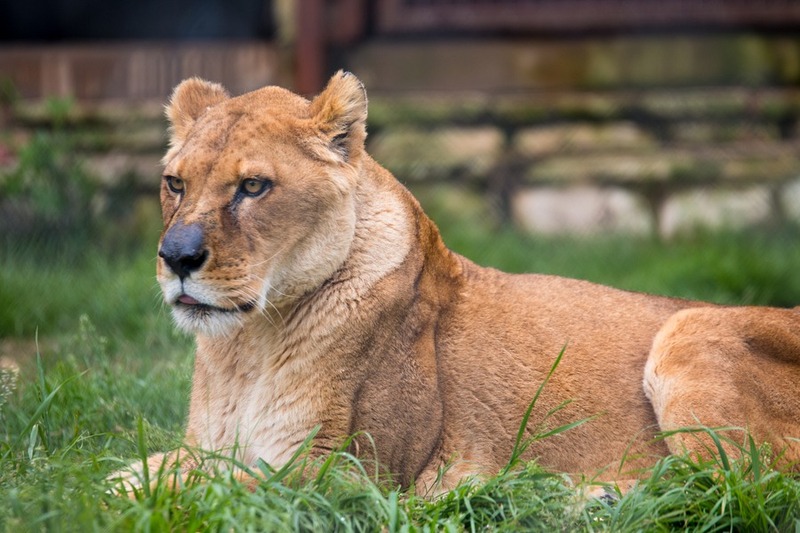 From mistreated circus animals, to baby cougars left on the zoo’s doorstep. 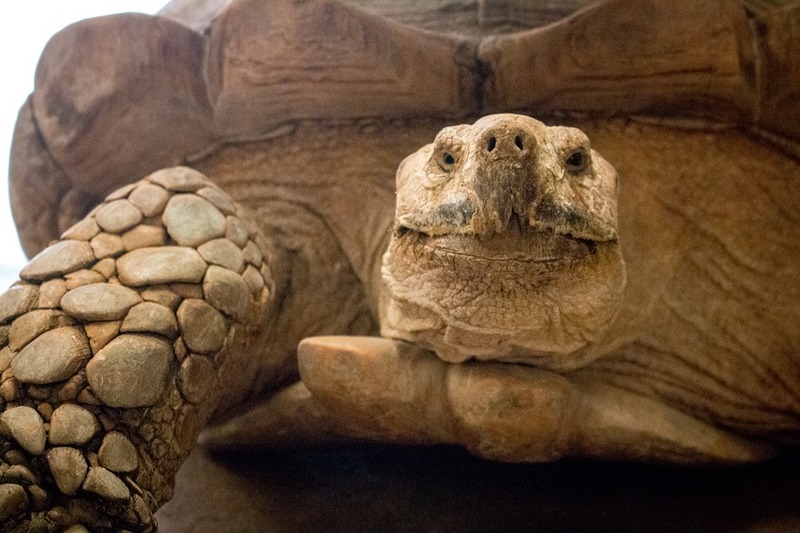 From exotic snakes to enormous Galapagos turtles. 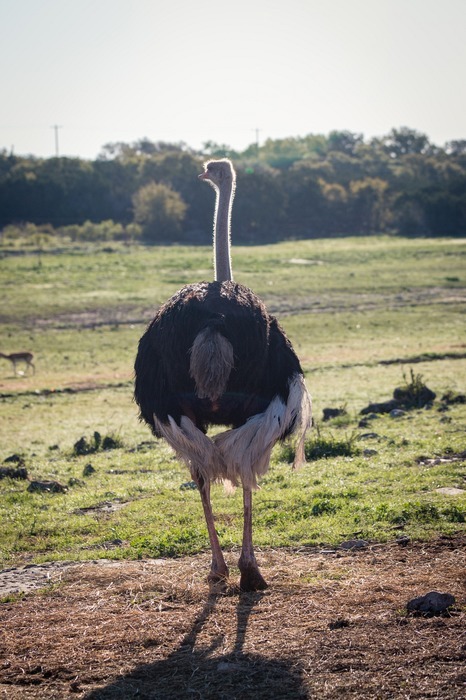 Every animal at the Austin Zoo has been surrendered or rescued from their former owners – some from extremely neglectful situations. 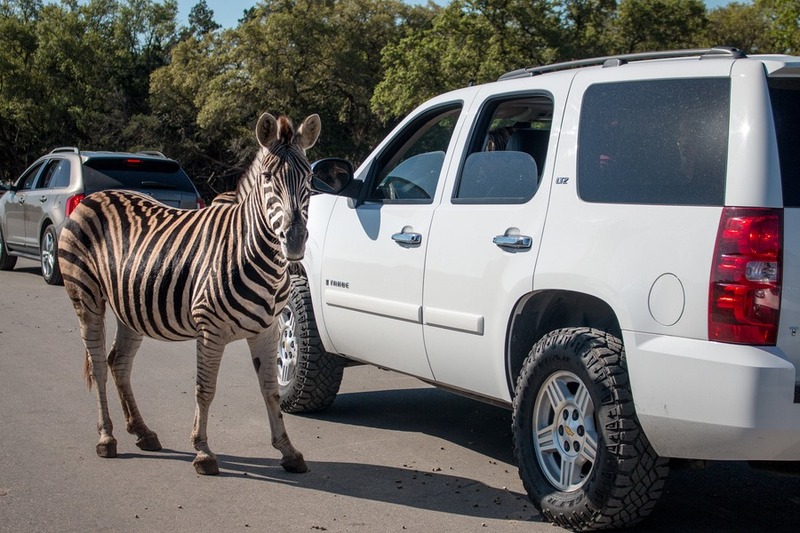 Austin Zoo is a champion of animal care and conservation. 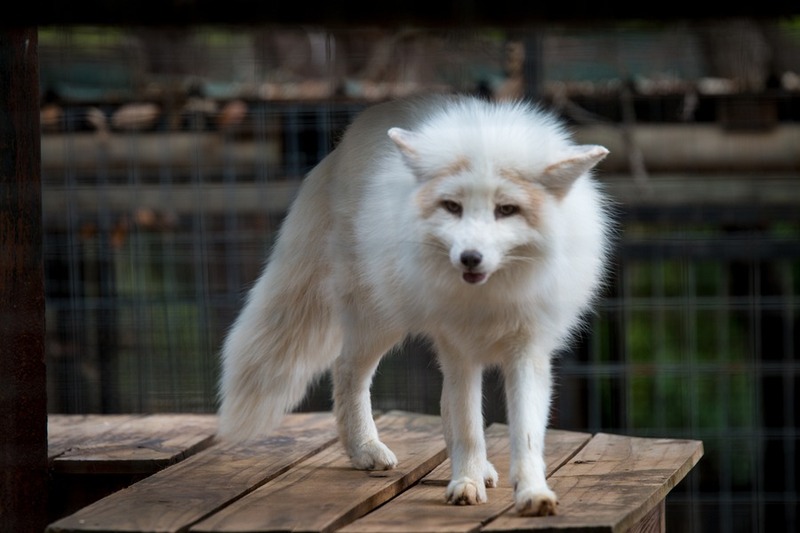 Each creature had a story of redemption and rescue described on a plaque on their enclosure. 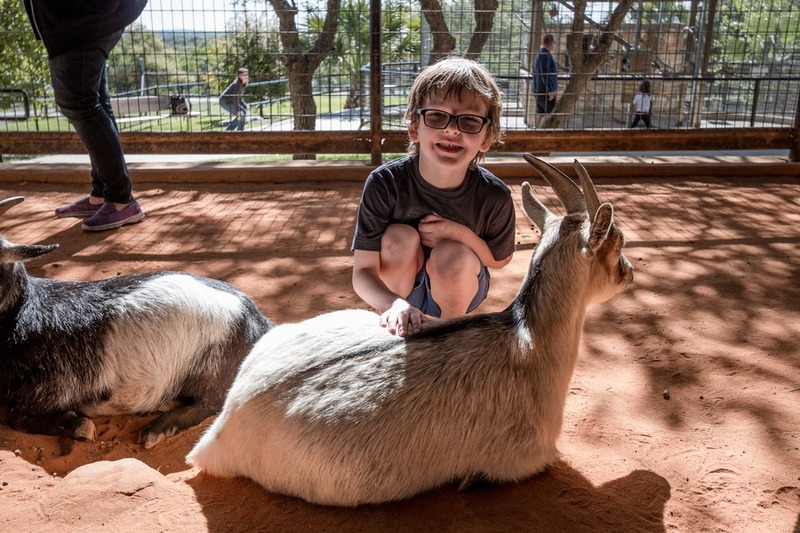 In fact, Austin Zoo covers about the same amount of land as Houston Zoo, but with 92% fewer animals, allowing it to provide much-needed spacious habitats. 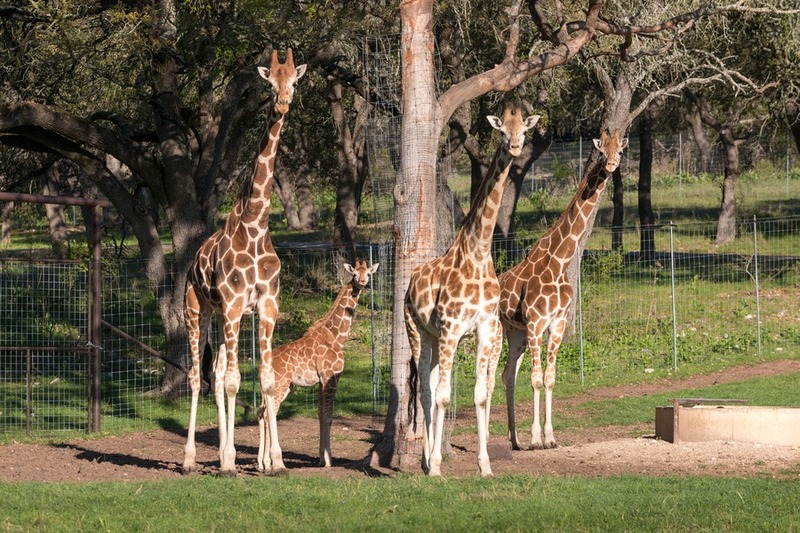 As a non-profit, Austin Zoo relies on private donations, corporate donations, ticket sales and gift shop sales. 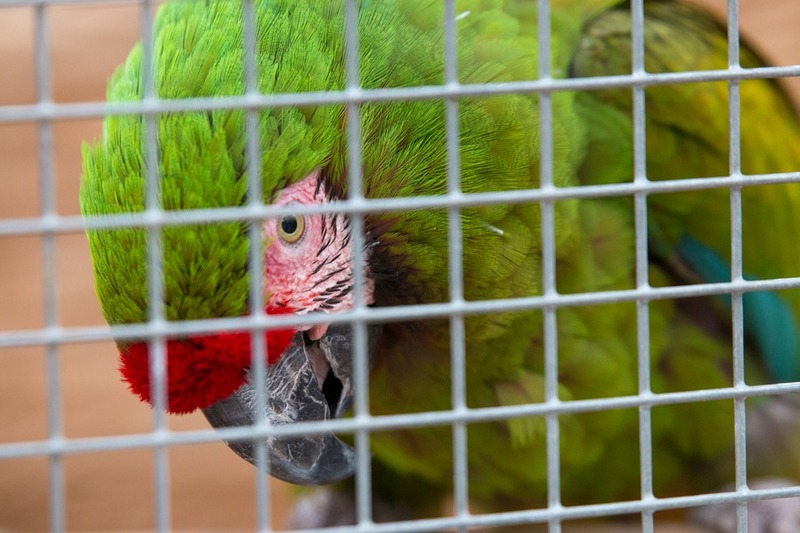 But with a limited operating budget it unfortunately has to turn down up to 60 requests each month from owners giving up their exotic pets. 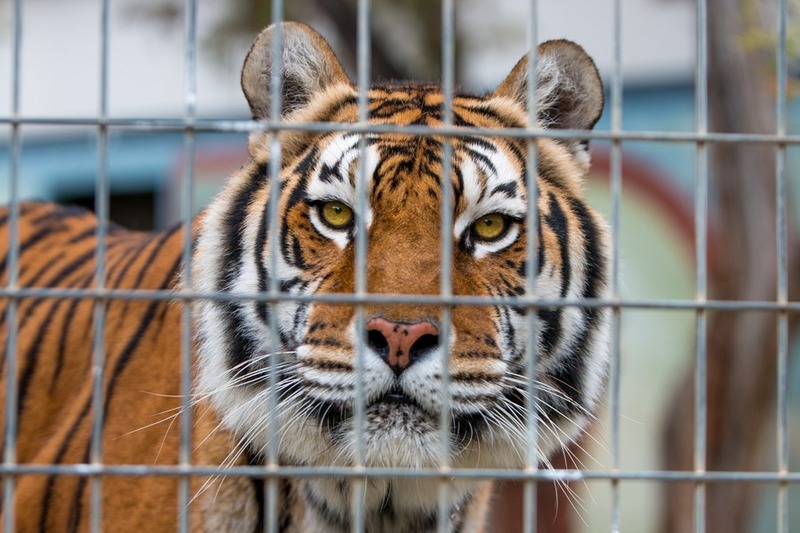 In those cases, it helps wherever possible to relocate the animals in other facilities. We couldn’t get enough of this place. And you will love it too. 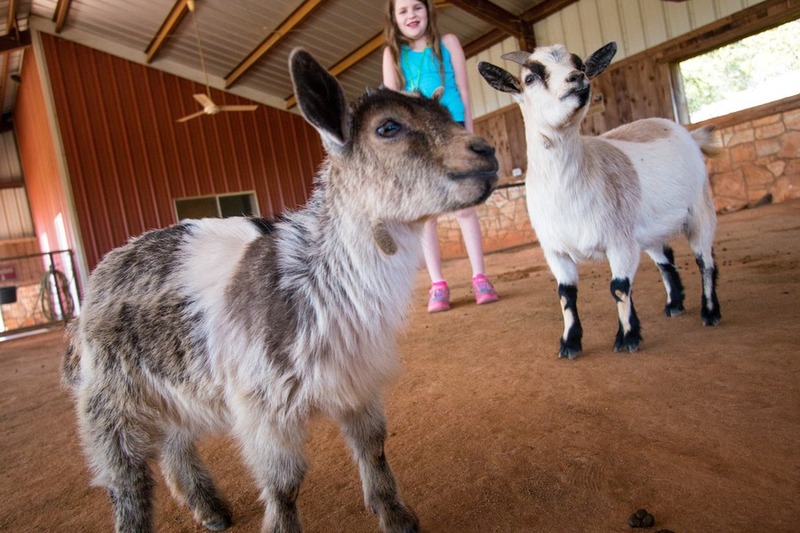 It’s a hands-on lesson for our youngsters on the special place animals hold in our world, and the the reasons why buying exotic pets is a bad idea. 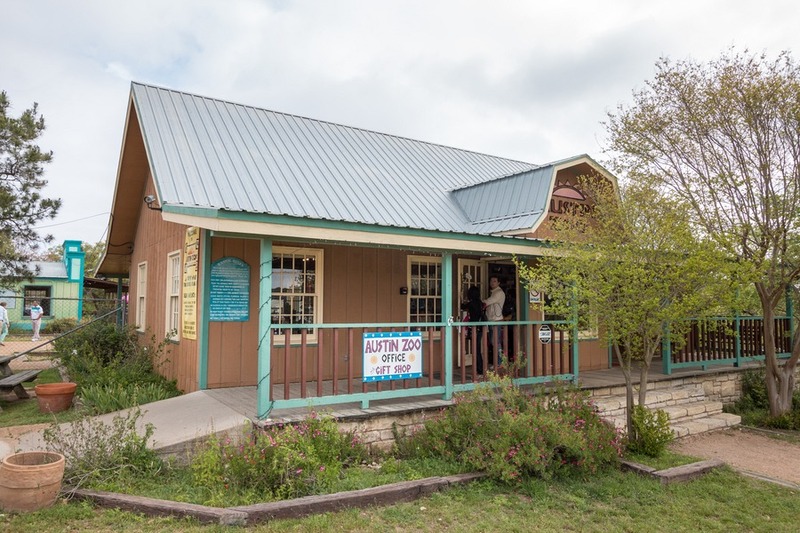 While technically not in Austin, the Natural Bridge Caverns Wildlife Ranch is a one-hour drive southwest towards San Antonio. 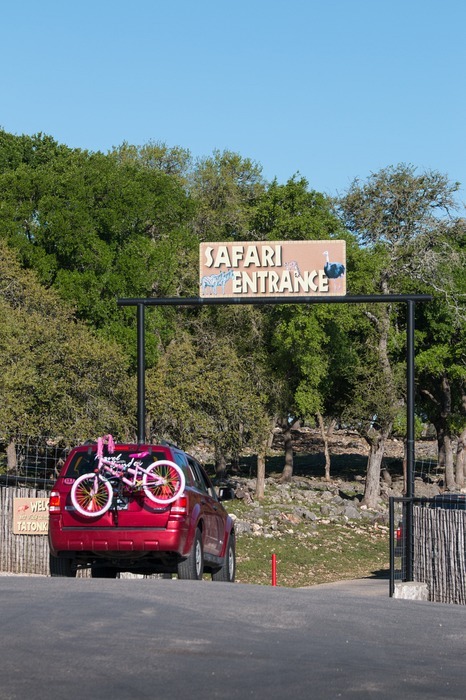 Our kids loved the ranch where we could comfortably drive our car along 6 miles of roadways, through 450 acres of pristine, protected landscapes, watching big animals roam free. It’s like an African safari, without the long, expensive flight. 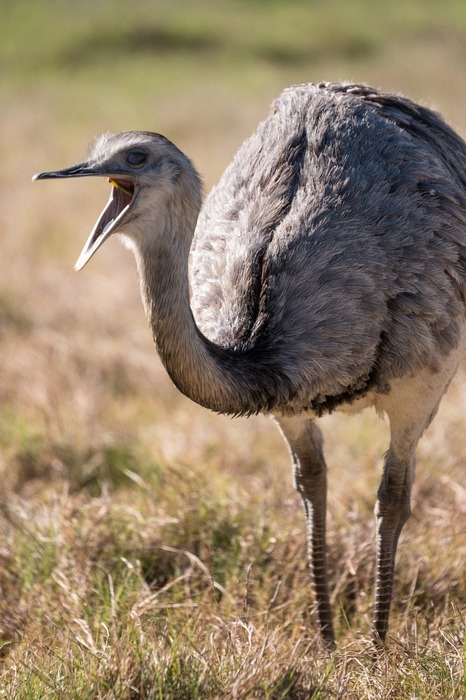 For over 30 years this ranch has protected and raised free-range animals. 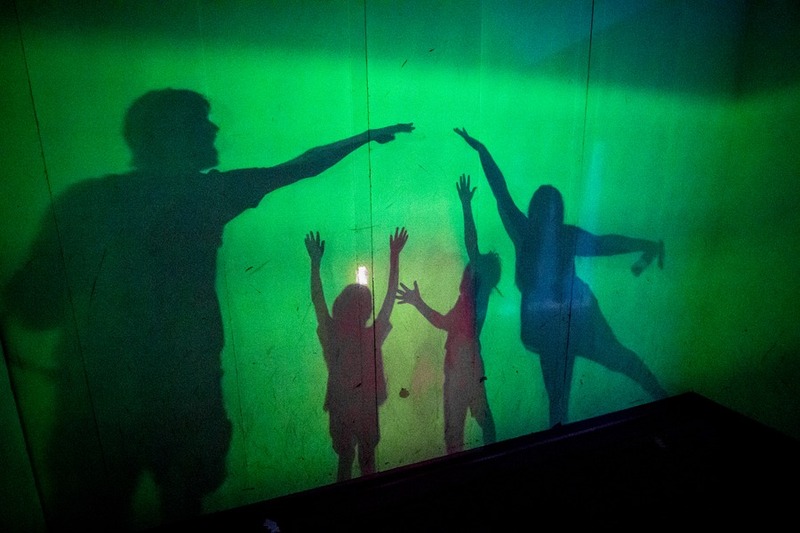 Now it houses over 500 native, exotic and endangered animals from 45 species, including: rhinos, camels, zebras, giraffes, kangaroos and more. My favourite was a personal visit with Buddy the Giraffe, who seemed to have a hankering for crunchy apple pieces. 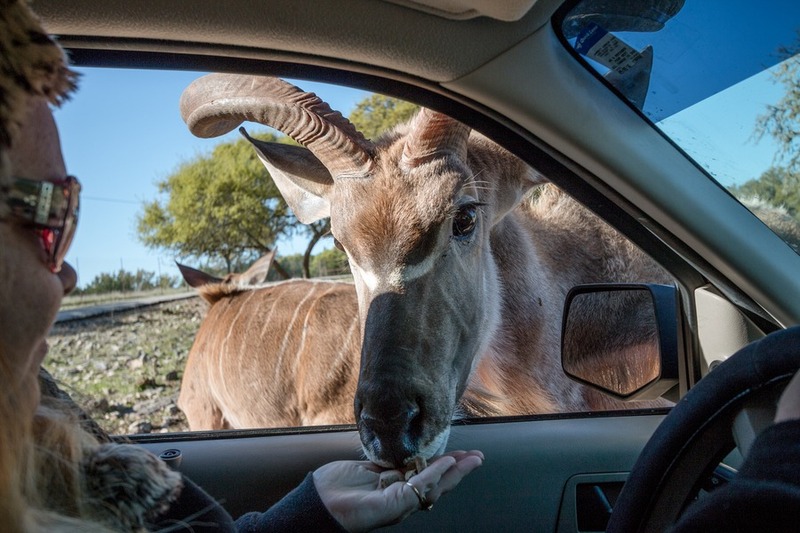 The scenic drive offers plenty of opportunities for interaction with the animals looking for food (animal feed bags are included with your entry ticket). 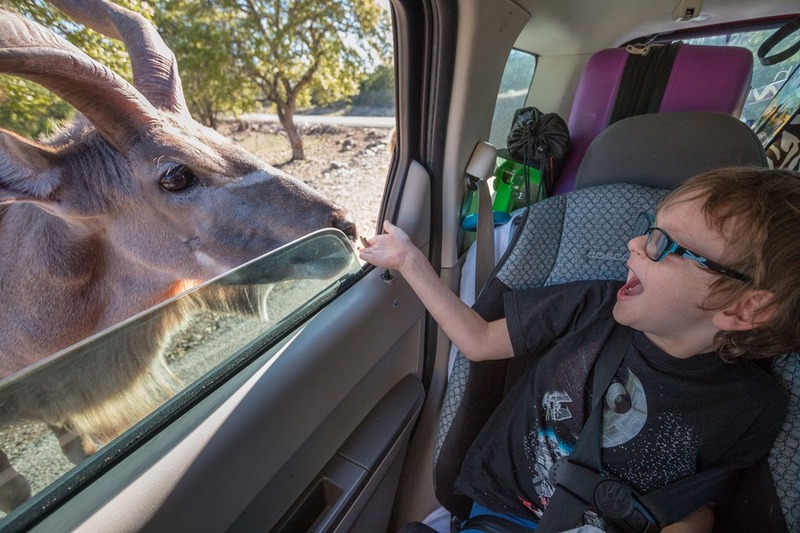 Also ask for the kids adventure guidebook when you pick up your entry ticket – our kids enjoyed identifying different species as we drove through the ranch. After our drive was complete we hopped out of the car and headed to the petting barnyard to stroke baby goats. And as my daughter says, “Totally adorbs!”. Tip: As most animals tend to more active in the early morning, that’s the best time to visit. 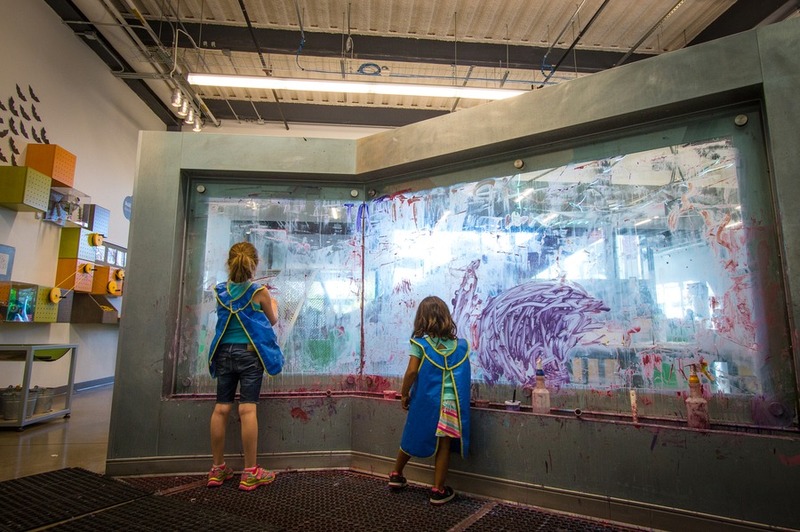 Austin’s very own Children’s Museum has evolved into a destination where science and families play side by side. 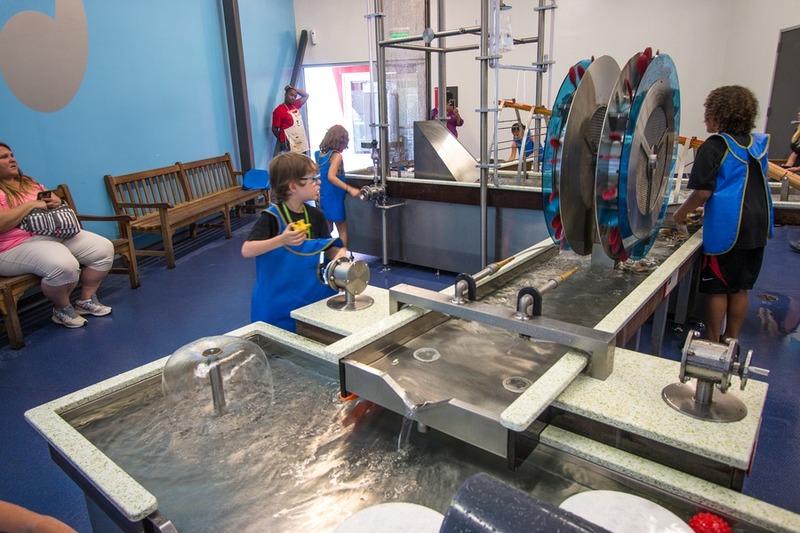 We have been to many children’s museums around the US and this was one of our favourites, complete with large outdoor playground, personal hands-on classes, rocket launching devices, a reading corner and so much more. 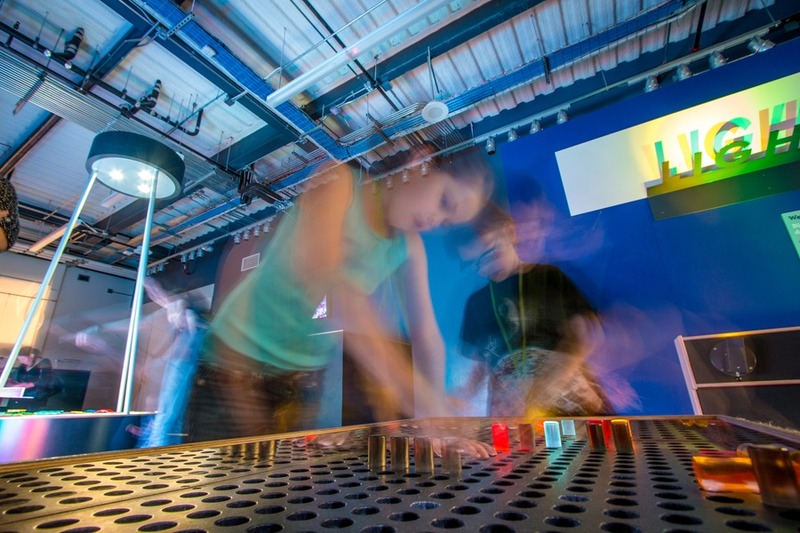 Each educational activity area was themed around a specific topic, such as Light Lab, Currents (water), and Kitchen Lab. The facilities spread over 2 floors are uber modern, and we discovered unique activities that we’ve never seen elsewhere. It’s clear that every aspect of the design and layout has been meticulously planned. For example, the outdoor play area is cooled by an afternoon shadow cast by the building – something that’s always needed in hot Texas. Getting the kids to leave was the hardest challenge we faced here. Plan on at least 3-4 hours, or more if you can. Our first duck tour back in 2012 was in Seattle with the infamous Captain Chaos. Since then we have taken several around the United States and no one has matched the wit or entertainment value of Captain Chaos. Until now. 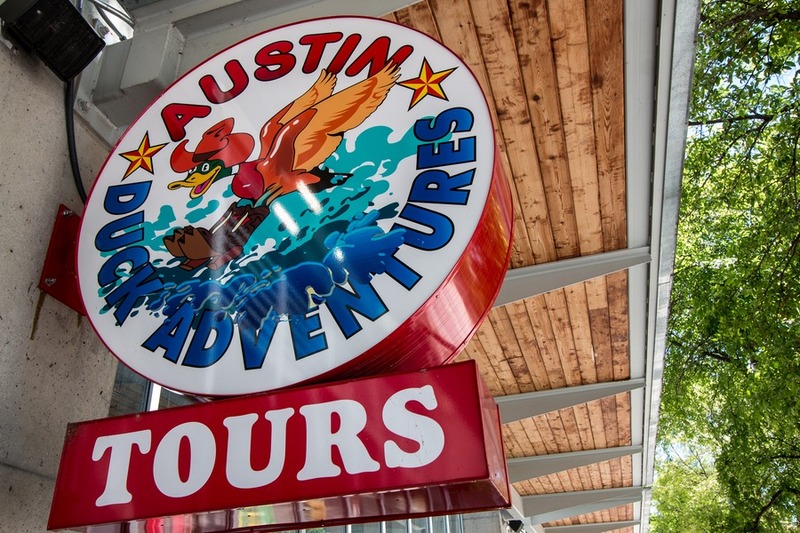 Sure, the Austin Duck Adventure is a fun way to see this small city. But as always it’s the guide slash driver (and not the other way around) that takes the sightseeing experience from a regular city tour to a full-on entertainment firestorm. Ours went by the unsuspecting name of… Bob. His rapid-fire joke-per-second rate was second to none. Seamlessly flowing from singing “you can do it, put your quack into it” to historical facts and comments about Victorian architecture. 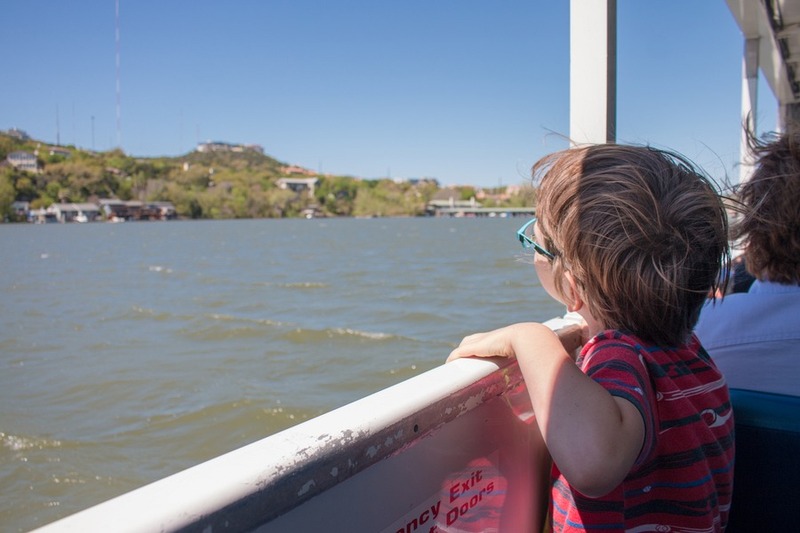 Our amphibious Hydra Terra tour started in downtown Austin and plunged head first into Lake Austin, including 75 minutes of sights across Austin including movie star homes, the State Capitol Building and more. 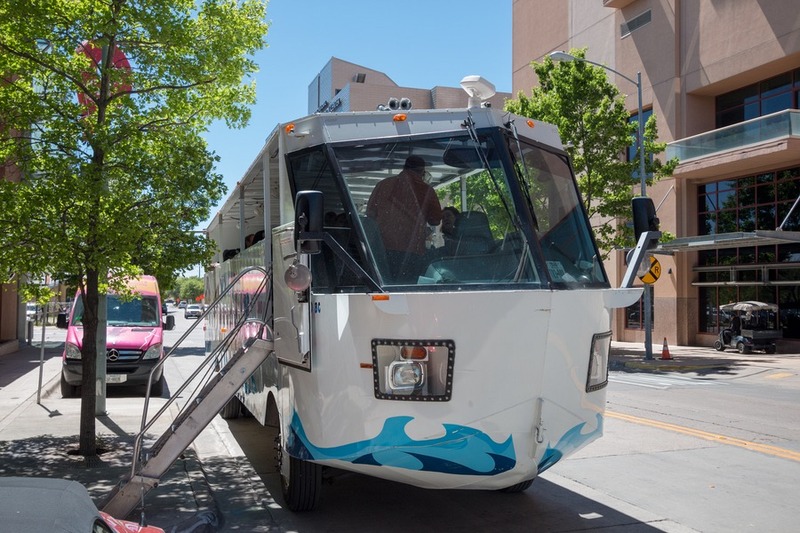 We later walked the streets of downtown to take a closer look at the sights seen on the tour. It was a handy introduction to Austin and helped us get a our bearings around the city. 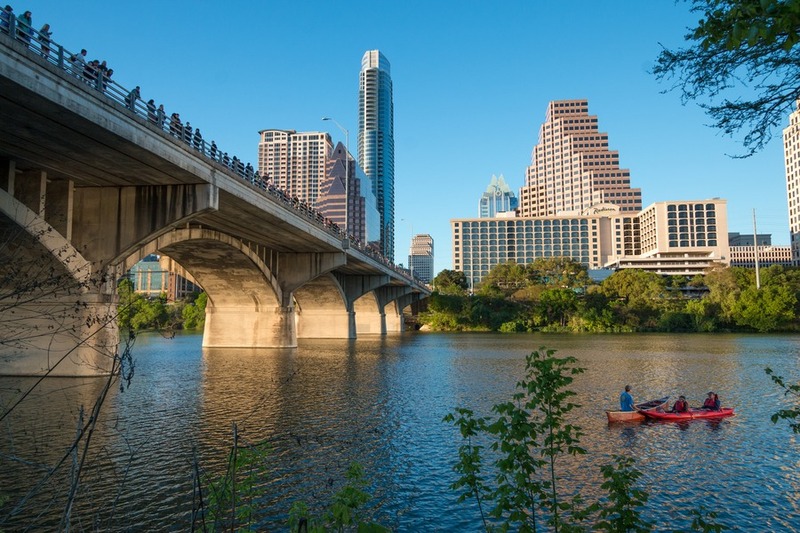 Austin is one of those cities you can’t properly explain to someone else who’s never been. There’s an essence, an energy, a vibe that can’t be captured with photos or videos or even mere words. 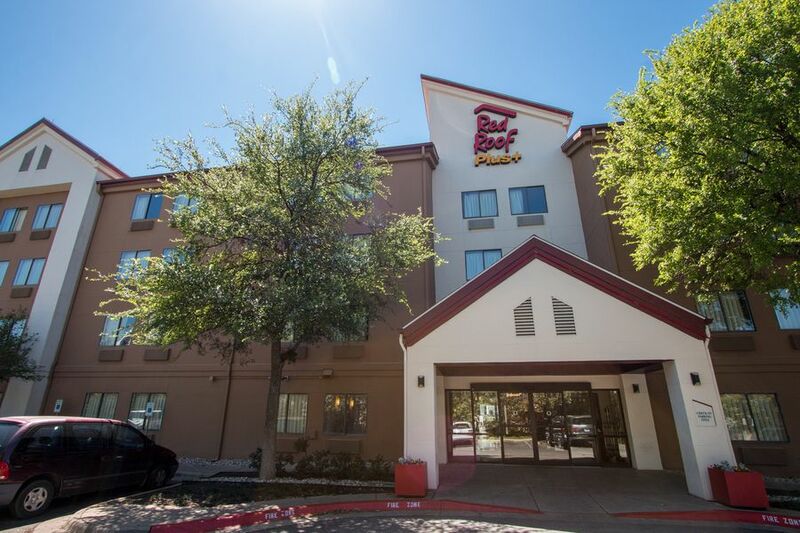 But what I can say is that if you’re looking to take your family on a vacation that’s beyond the norm and outside of the box, Austin is the place for you. And once you’ve been you might not want to go back into that box. Love these tips. Austin is such a fun and vibrant city!